Butterscotch peach jam is simple to make and awesome to taste. 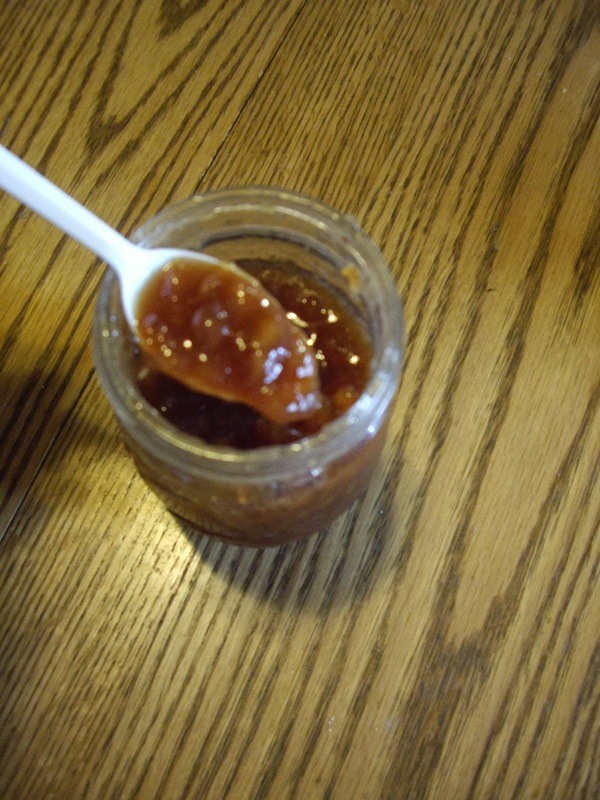 It is a bit different from the usual peach preserves, but in a good way. I have to give credit for this yummy recipe to Mary Anne Dragan. I am not sure if she came up with it, but I found it in her Well Preserved cookbook. You will need 5-6 eight oz. jelly jars and lids/bands,ready for canning. You will need a bath water canner full of water and heating on the stove. In a Dutch oven, mix the chopped peaches and lemon juice. Crush the fruit with a potato masher. Cover, lower heat, and simmer for 10 minutes, stirring once in a while. Add the brown sugar and stir until it is blended well. Turn the heat up to medium/high and cook for about 20-25 minutes or until the jam has thickened a little bit. Stir quite frequently so it won’t stick to the bottom. When ready, remove from heat and stir for a few minutes so all the peach pieces stay distributed throughout the jam. Skim off any foam. It isn’t necessary so that is your preference. Ladle the jam into the prepared jars and wipe the rims of the jars, lids, and bands with a hot, damp cloth and seal. Add to the bath water canner and process for 10 minutes.